Dr Angelos Chryssogelos teaches European politics at the Department of European and International Studies, King’s College London. Malgorzata Staniaszek is an EU and competition law expert. On 7 February, the European Parliament endorsed the Spitzenkandidaten procedure for the 2019 European elections. European party families will put forward candidates for European Commission president. The procedure is not legally enshrined in EU treaties, but it was used in 2014 and MEPs expect that national leaders will accept its outcome again. In 2014 the winner, the European People’s Party candidate Jean-Claude Juncker, was indeed appointed Commission president. In the same vote, however, MEPs rejected the creation of transnational lists to fill some of the 73 UK seats expected to be left vacant after Brexit. It was always uncertain that transnational lists would be accepted by national leaders, who must approve of any changes. But the failure of the Parliament to endorse transnational lists was a big missed opportunity to promote real EU-level party democracy. If the EU proceeds with Spitzenkandidaten in 2019, it is going to be as flat an affair as in 2014. The EU has gotten the order of things wrong: Spitzenkandidaten will energize European elections only if combined with transnational lists. 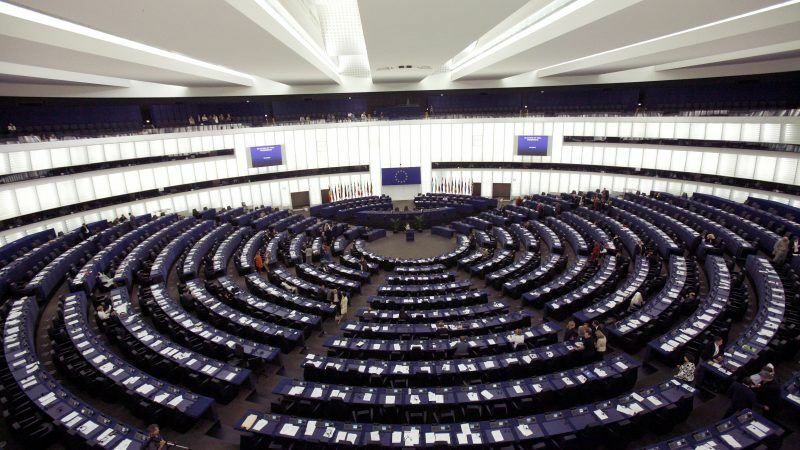 Opponents of transnational lists argue that they would create a class of parliamentarians far removed from the electorate, as citizens are used to electing MEPs on a national basis. Transnational MEPs would also increase national divides. Candidates from larger member-states would have an advantage over candidates from smaller ones trying to win votes across a mega-constituency of hundreds of millions of voters. These arguments are not convincing. First, it is unclear why electing one person across the EU – the Commission president – brings the EU closer to its citizens, but electing 30 or 40 MEPs would alienate them. Second, electing MEPs at different levels of the EU polity in no way means that some will be first-class in relation to others. The status of members of a parliament is determined by that parliament’s mode of operation, not the level at which its members are elected. European elections have always been contested at different levels anyway. MEPs in some countries are elected nationally, in others in sub-national constituencies. The most erroneous charge waged against transnational lists is that they would fail to increase the ideological character of European elections and deepen national divides. This would be true only if European voters could express their preference on the names on each Europarty’s list, i.e. if the MEPs of the pan-European constituency were elected through an open list system. In that case, it would be natural for German voters of the EPP ballot to vote overwhelmingly for the German names, the Greeks for the Greek ones, and so on for each country and party list. But this problem could be avoided if Europarties presented closed lists of candidates for the pan-European constituency, i.e. if they pre-ordered the candidates and the overall number of votes the Europarty would gain across the EU determined how many names on the list were elected. In such a system, voters would be voting not for names on the ballot, but for Europarties as such. The experience of the nation-state is instructive here. Most modern European states initially were fragmented along linguistic, religious etc. lines. The homogenization of European societies was completed by political parties that campaigned nationally and offered voters the same menu of choices on issues of national importance. European societies really became national only when party systems encompassed whole countries, turning citizens of states into voters of national party systems. In the same way, closed pan-European lists would be a game-changer in how European citizens identify with EU politics. Next to their usual choice between national parties, voters would be faced with a second ballot-box for casting a vote on their preferred Europarty. This would be a decisive step towards the creation of transnational party identification among voters. This would also be strengthened by European citizens for the first time seeing election results reported on a European scale, as these would be necessary to distribute the number of pan-European seats among Europarties. The power of European party families has always been measured by the number of their EP seats as aggregation of their member-parties’ results. This made European elections a sum of national elections, not a true European political contest. EU politicians’ hope that electing the Union’s ‘president’ will unite the European electorate reflects a faulty reading of the historical development of party democracy in Europe. It was not the centralization of authority that united national societies, but the mobilizing and socializing effect of uniform party competition across a whole country. For as long as voters in European elections vote for national parties in national settings, instead of European parties at the EU level, it will make little difference whether this is linked with the election of the president of a far-flung institution. EU democracy will remain the aggregate of 27 national democracies. The Spitzenkandidaten procedure is an important step toward democratizing the EU. But on its own, it has little capacity to engage national electorates used to voting for national parties. European voters must begin to think of the EU as a party democracy, just like member-states are. Being able to vote directly for a Europarty would allow voters for the first time to think of European elections as a contest between European, as opposed to national, parties. By failing to endorse the transnational list idea, MEPs and national leaders are deferring the emergence of a European party democracy to 2024 and beyond.